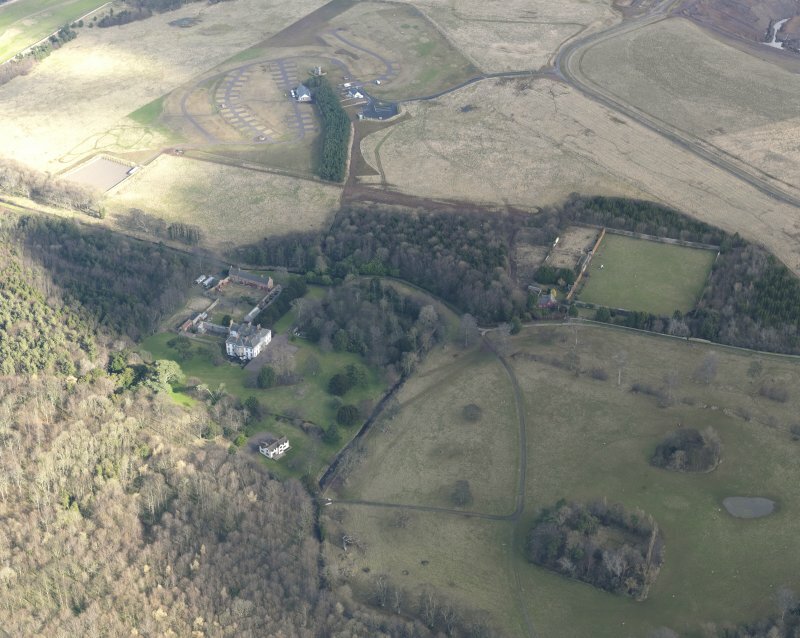 General oblique aerial view of the country house and policies with the town beyond, taken from the SSE. 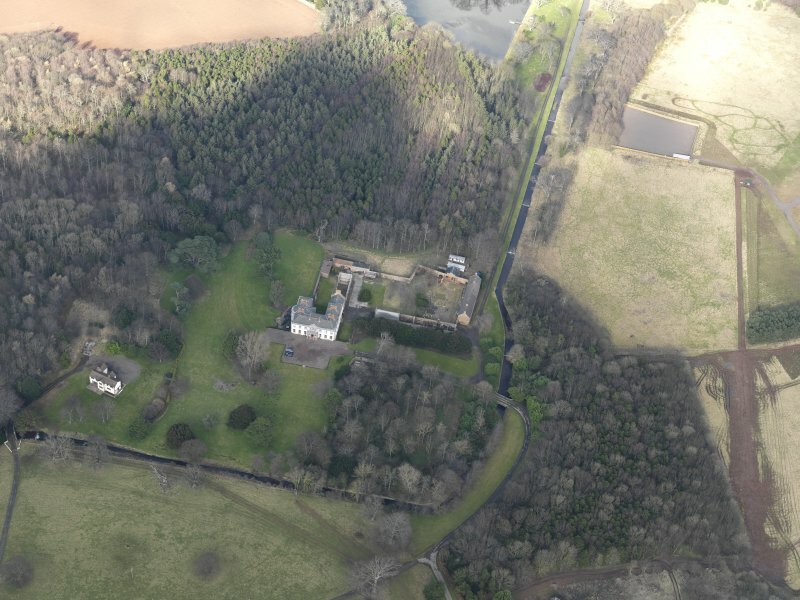 Oblique aerial view centred on the walled garden with the country house adjacent, taken from the ENE. 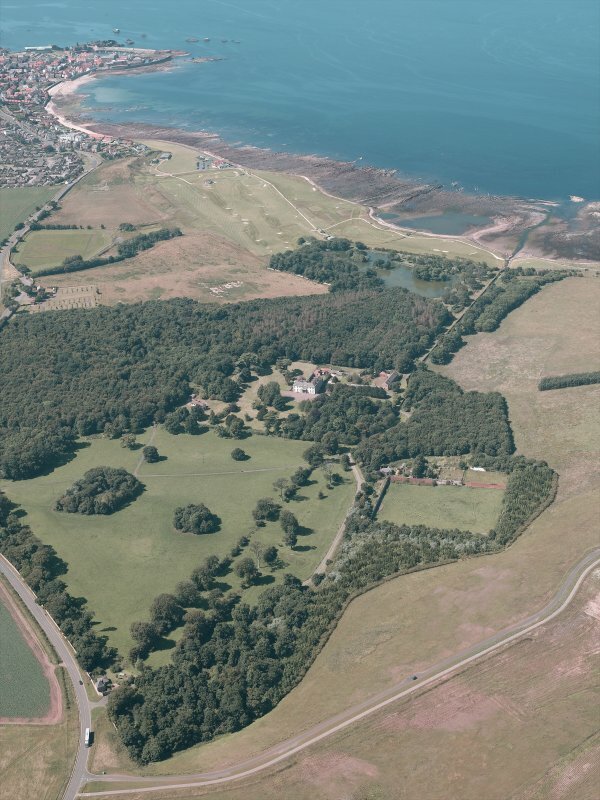 General oblique aerial view of the country house and policies, taken from the SSE. 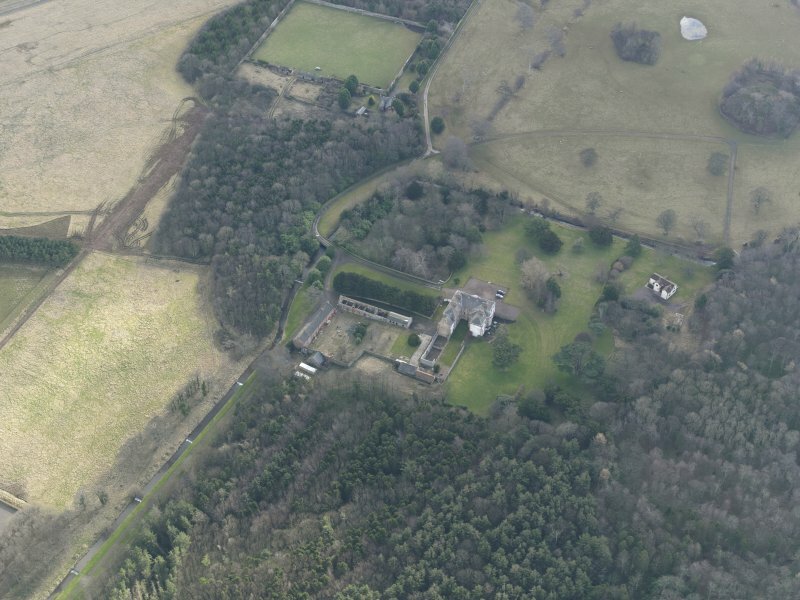 Oblique aerial view centred on the walled garden with the country house adjacent, taken from the ESE. 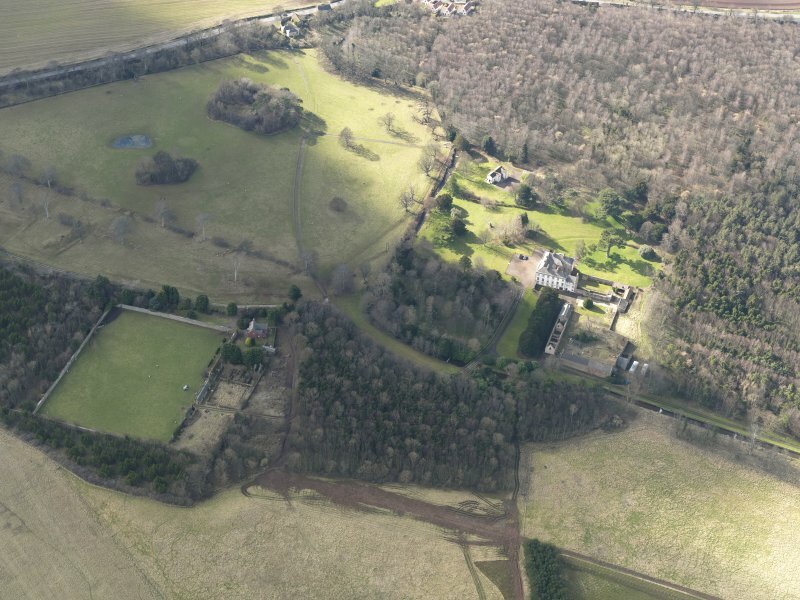 Oblique aerial view centred on the walled garden with the country house adjacent, taken from the SE. 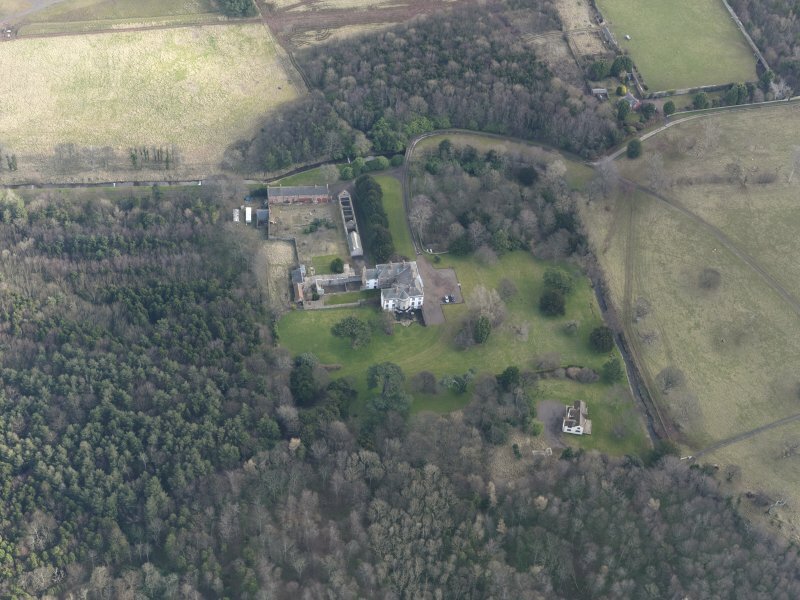 Oblique aerial view centred on the country house with the stables adjacent, taken from the SSE. 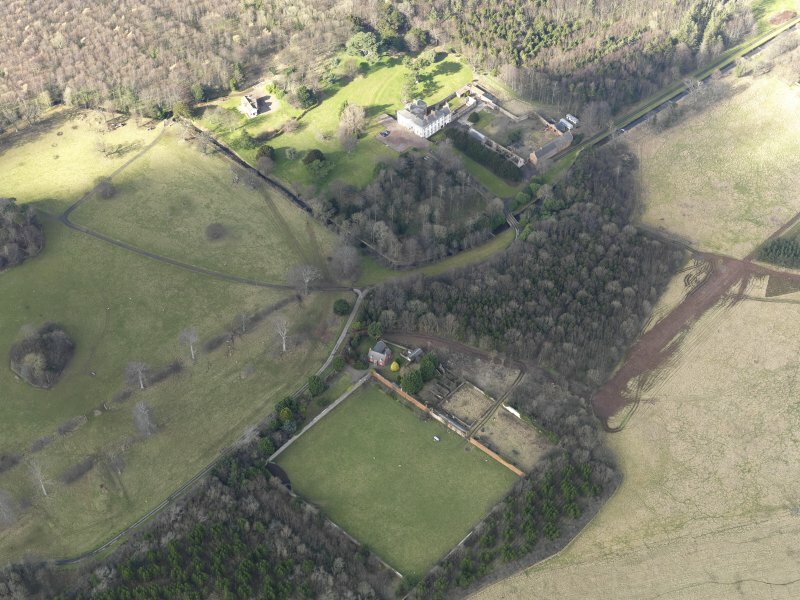 Oblique aerial view centred on the country house with the stables adjacent, taken from the S.
Oblique aerial view centred on the country house with the stables adjacent, taken from the NNW. 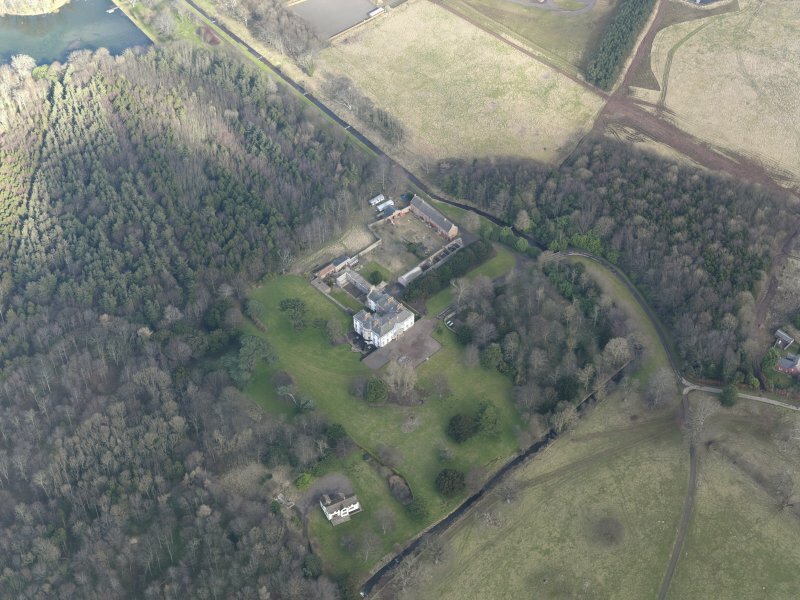 General oblique aerial view of the country house and policies, taken from the SE. 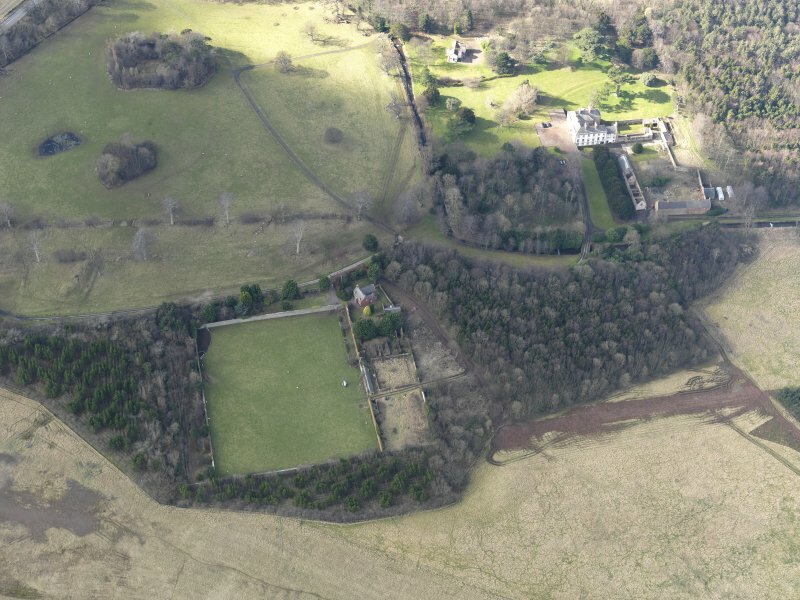 Oblique aerial view centred on the country house with the stables adjacent, taken from the SW.
Oblique aerial view centred on the country house with the stables adjacent, taken from the WSW. 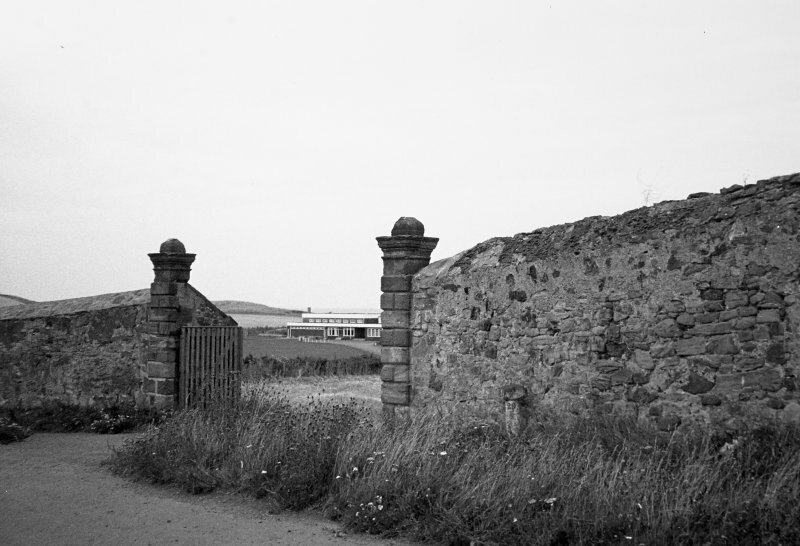 General view of park wall and gateway. 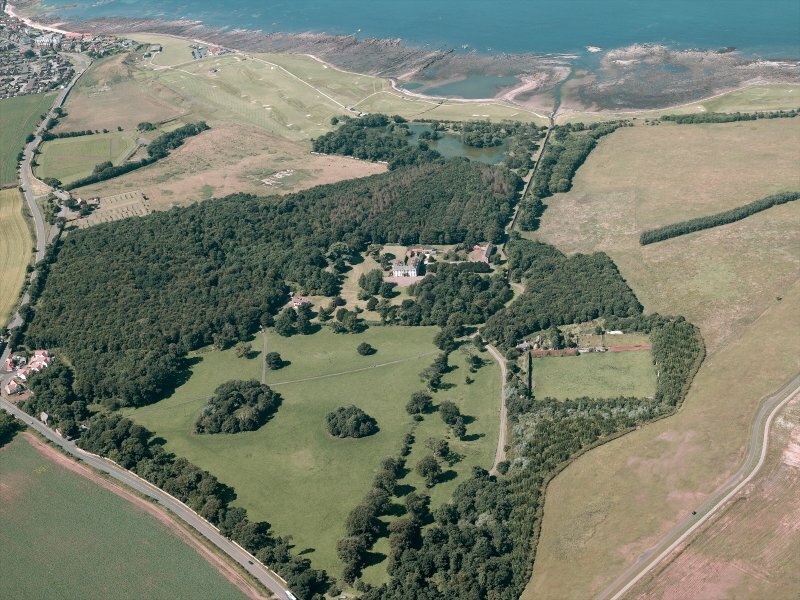 See also NT67NE 97 (Broxmouth Park office court showing demolished wing). For Cromwell's Mount (NT 6953 7761), see NT67NE 10. 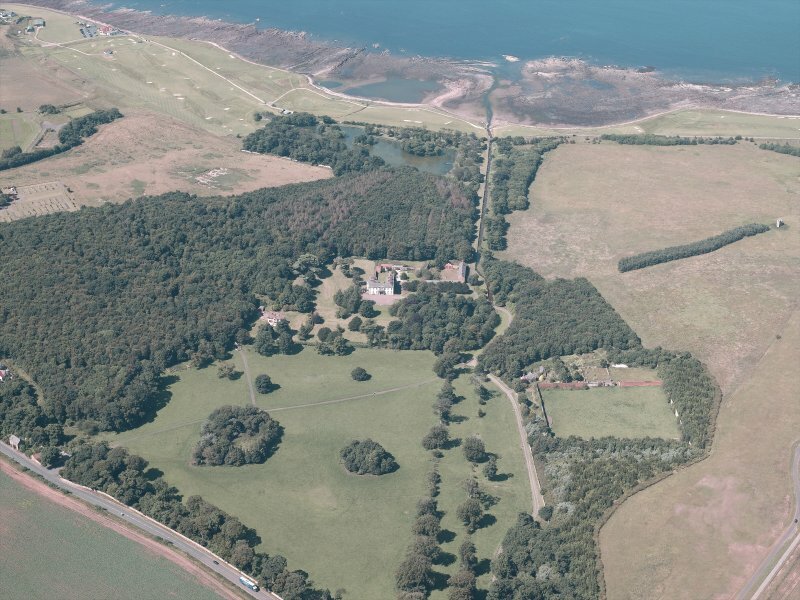 Broxmouth House was garrisoned by Cromwell during the Battle of Dunbar 1650. It is clearly shown in Fisher's pictorial plan. 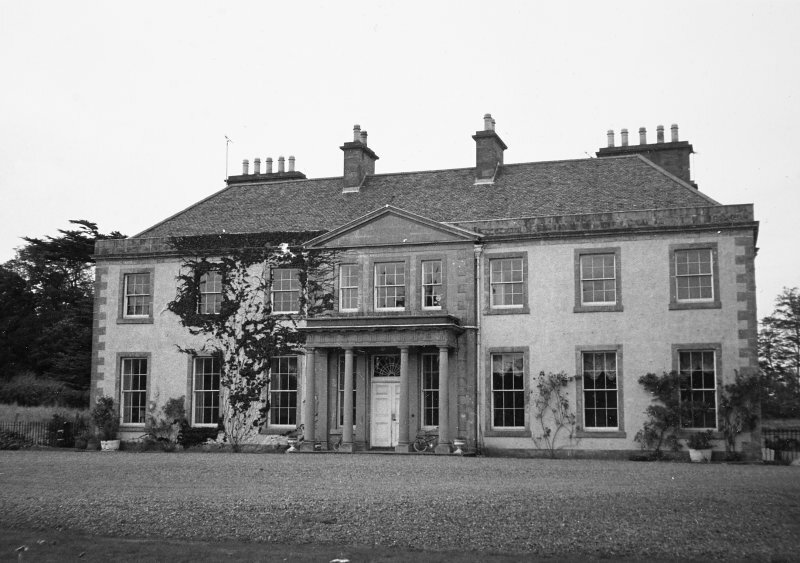 Broxmouth House is a large unpretentious house of the late 18th or early 19th century, with extensive domestic buildings. There are no obvious remains of a 17th century house. ARCHITECT: James Nisbet submitted report December 1774. Early part of building demolished c. 1955. House listed Category B. Information from Demolitions catalogue held in RCAHMS library. Report on state of the house 1774 by James Nisbet - photocopy from Scottish Record Office. 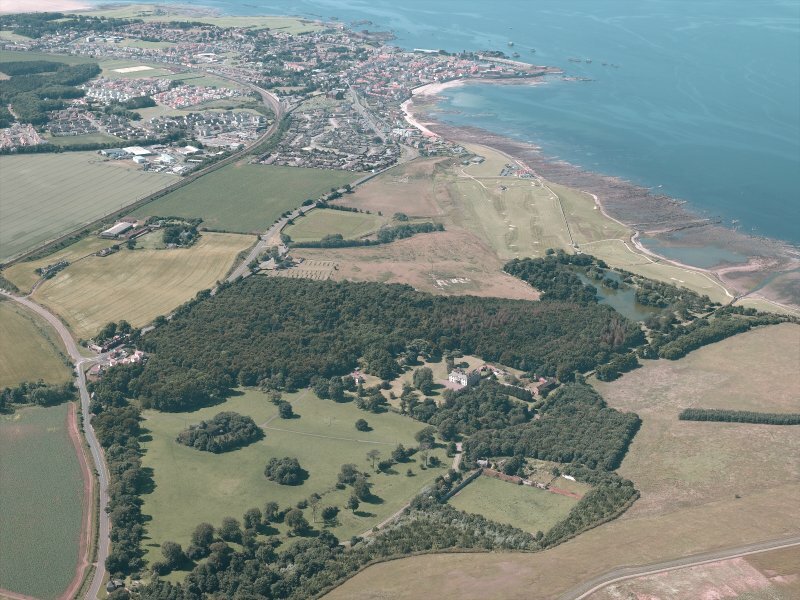 Photographic survey of Broxmouth Park by the Scottish National Buildings Record in 1955. 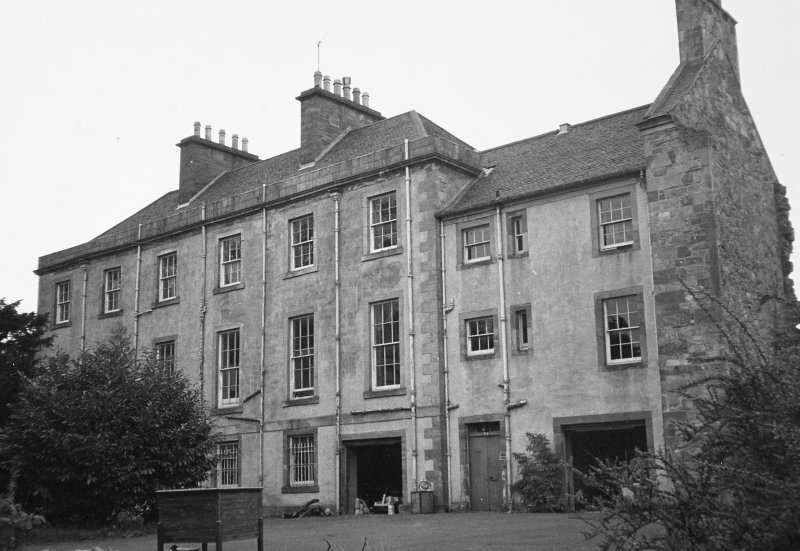 Photographic survey by the Scottish National Buildings Record/Ministry of Works in October 1964.